Air protein cream is one of the most popular bases for preparing a light dessert. In addition to the delicious and delicate taste, this is the most low-calorie cream. Desserts using protein creamand very nutritious, but not leave the feeling of heaviness. The recipe is quite simple, but requires certain skills. In a saucepan, pour water and stir in the powdered sugar. Add the citric acid. Mix well over medium heat and cook until thick. The syrup should caramelize and darken. Proteins beat until thick and fluffy foam. Without stopping whisking, pour the whites in a thin stream the hot sugar syrup. Beat for another 1 — 2 minutes, quickly stirring the whole mass. Use the cream immediately after production. If the syrup is nedawareness, the cream be blurry and not tight. If the syrup is overcooked, it will be cream with sprinkles. It is very important to pour the syrup in a thin stream and stir continuously, otherwise it may form lumps in the cream. Protein cream can be used as a filling or as a decoration for confectionery products: cakes, rolls. 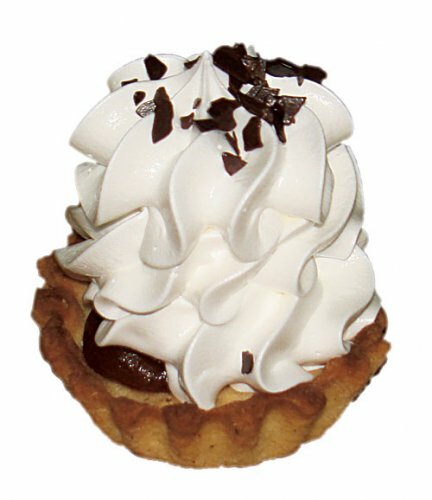 Only he will never make a small pastry decorating, but that does not diminish his merits: protein cream is delicious and easy. Sugar mix with water and put on fire. Bring to the boil and simmer, stirring constantly, until sugar syrup. Readiness can be checked by the following method: chill a drop of syrup on the plate, then try to roll him the ball. Go to the process of whipping egg whites. If you know how to cook meringue, you will find it easier to deal with it. Egg wash thoroughly. To cream happened, be sure to use fresh eggs. Separate the whites from the yolks and put the whites in the fridge to keep cool (makes them easier to whip). After some time, remove them and add a pinch of salt. If you want to slightly sweeten their future cream, instead of one protein, take two tablespoons of natural beetroot juice. To make the color even more intense, add in the beet juice a few drops of lemon juice.Take a clean bowl. Whisk it proteins, while their volume will not increase by several times, and is not formed resistant foam. Citric acid and vanilla sugar it is desirable to add at the end of the process. Remember that whisking egg whites to stop is not desirable. When protein weight will keep the form - turn off the mixer. Pour the sugar syrup in a thin stream into the future the cream, continuing to whisk the egg whites with a mixer. This process chefs call "brewing cream". Continue whisking until you drive in the ground all the syrup. Do not stop the operation of the mixer, until the cream has cooled. The mass cool faster, place the bowl in cold water or ice. Finally cooled down, protein cream will not lose shape. So, the cream is ready. Now it is possible to introduce various aromatic and flavoring as desired. Decorate them with your favorite cakes, cake stuff cream tube. Protein cream can be stored in the refrigerator up to 36 hours.Bon appetit! Take only fresh eggs, beat the whites in a clean bowl. Do not use aluminum cookware - egg can black.